How does Fortnite’s new Suppressed Assault Rifle compare to the SCAR and other ARs? The guns don’t appear too different, but the devil’s in the details. Earlier this week, Epic Games added a brand-new assault rifle to Fortnite: Battle Royale. The Suppressed Assault Rifle came in, while the Drum Gun was vaulted. As the name obviously suggests, the Suppressed Assault Rifle is essentially the SCAR with a silencer attachment. 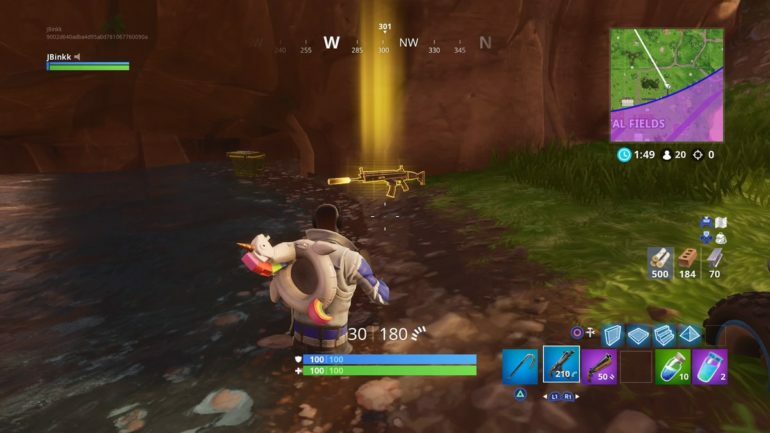 It comes in the Epic (purple) and Legendary (gold) rarities, just like the SCAR. But how good is this gun in-game? From a statistical standpoint, the Legendary Suppressed Assault Rifle actually compares more to the Rare Assault Rifle than either rarity of the SCAR. Both the Legendary Suppressed Assault Rifle and the Rare Assault Rifle have 181.5 DPS and deal 33 damage to opponents and structures. This also means that the Epic Suppressed Assault Rifle is technically weaker than the regular blue AR. The SCAR remains the best assault rifle in the game. The Suppressed Assault Rifle’s statistics aren’t too far behind, but the SCAR just simply outclasses the newest Fortnite gun from a statistical standpoint. The Suppressed Assault Rifle has better DPS than the Thermal Scoped Assault Rifle, while the latter still has higher damage stats. It also has better stats than the regular Scoped Assault Rifle, but these weapons have different uses—a gun with a silencer obviously won’t be as effective at long ranges as a weapon with a scope. Overall, it seems like the Suppressed Assault Rifle’s biggest advantage is the element of surprise. You might be able to catch some opponents off-guard thanks to your silencer. Other than that, you should probably stick with the SCAR (or even the blue AR) as your assault rifle of choice in Fortnite. All weapon statistics were provided by the Fortnite Wiki.